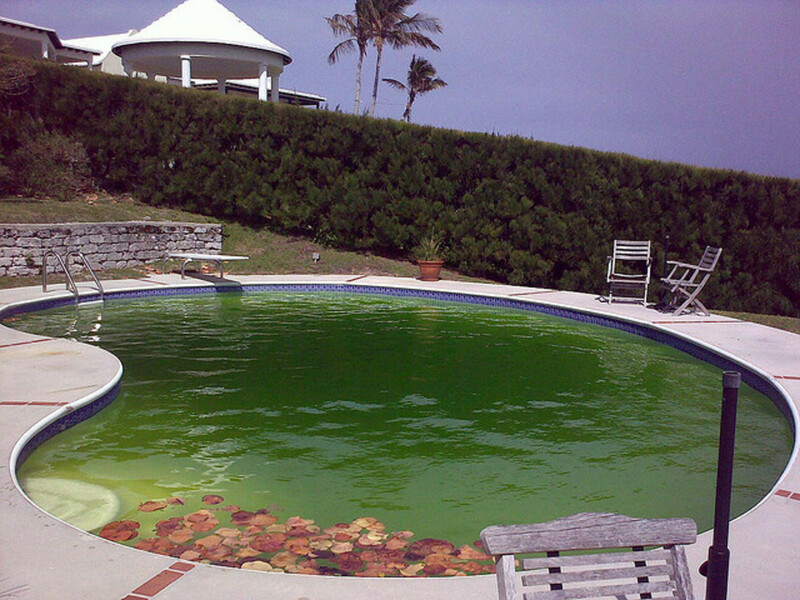 The pool algae was the worst on record for me this spring. Living in the northeastern US, we had an extremely warm winter and my pool froze for about a month: that's it. Pools in the northeast will generally freeze from November till March, this year, we were lucky if they froze in January. 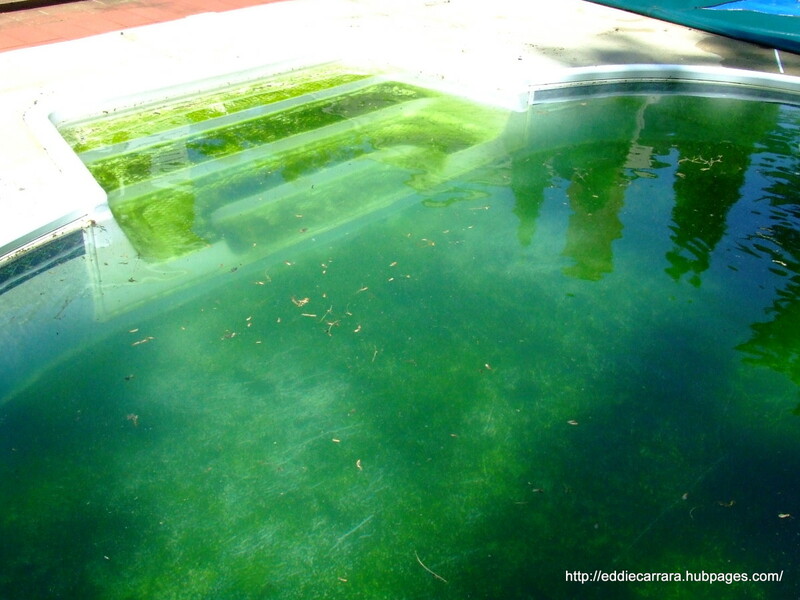 I had black algae covering the bottom of my inground pool, and the walls were covered in green algae; there were worm tracks all over the bottom of the pool where they were eating the algae; it was a mess and it smelled like a swamp. My pool had never smelled like this... it literally smelled like the mud at the bottom of a swamp, but I really didn't think anything of it. I started by following my normal routine: I dumped a 32oz bottle of algae control concentrate, and a few hours later super chlorinated the pool, and then vacuumed the algae with the pool filter on waste. I have been maintaining my personal pools for over 20 years, and for the past 7 years, I have maintained 2 pools each year. I open them, close them, and maintain them throughout the summer, and I have never experienced a pool this green, EVER!!! The pump was doing nothing for the green water, and the algae control never even turned the water a different color. Usually it would start killing the algae right away, but not this time. So I went to a pool expert thinking that maybe other people were experiencing the same phenomenon as I was. He suggested I had metal in the water, so I should remove all the chlorine I just dumped in, and add a metal remover, so I bought his story and his chemicals, but I was very hesitant. I recommend sticking with your gut feelings as my pool was the same color and I was out $35 bucks. The algae were still winning. 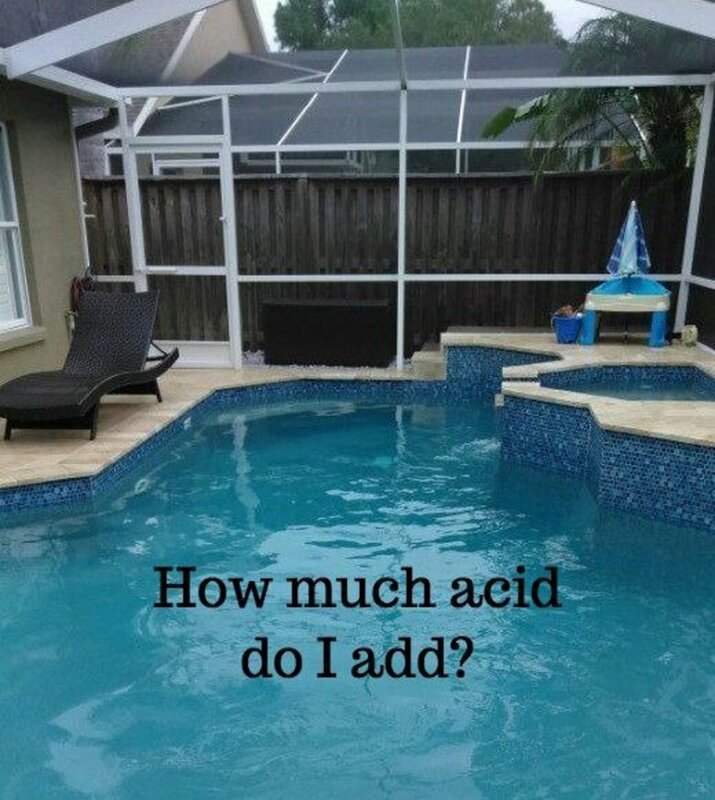 How many years have you been maintaining a pool? Killing the Pool Algae Fast! There is hope, there is always hope, and that's why I wrote this article. When I find a solution to a problem, I love to share my experience with others because I know I'm not the only one who has this particular problem. I couldn't be that lucky, lol. I talked to another pool expert at a different store, one where the prices are a bit higher but the advice is priceless. He suggested I dump in 10 gallons of liquid chlorine into the pool, wait an hour, and then use an algae destroyer called Banish. 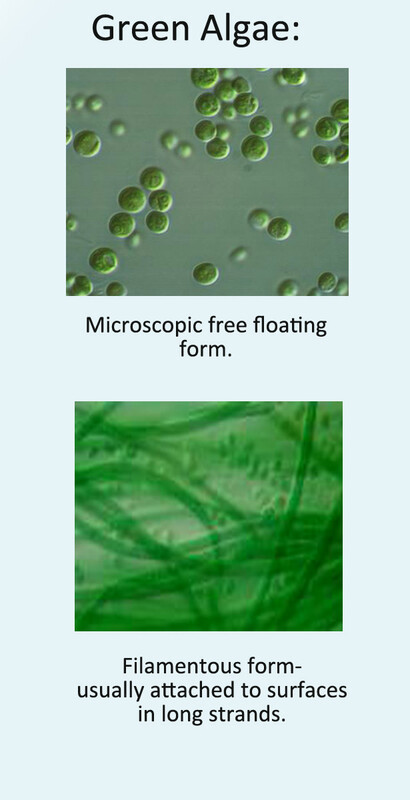 Banish is manufactured by BioGuard, and it will destroy green, black, and mustard algae within 24 hours. At this point I'll try anything! So here goes another $76 bucks and a prayer; I just wanted to see a change in watercolor, anything to prove to me that the chemicals are working. I dumped in the 10 gallons of liquid chlorine and waited about 2 hours, the water was still emerald green and full of algae. I thought, WTF, (Wednesday, Thursday, Friday) that's how many day's it's been, I started on Wednesday, lol. It was now dark out, and I turned the pool light on, I dumped in the 32 oz bottle of Banish, and the magic started to happen, the water was turning colors, NOT GREEN :) I let the filter run overnight and I never looked back. My pool went from dark emerald green to blue in less than 12 hours. 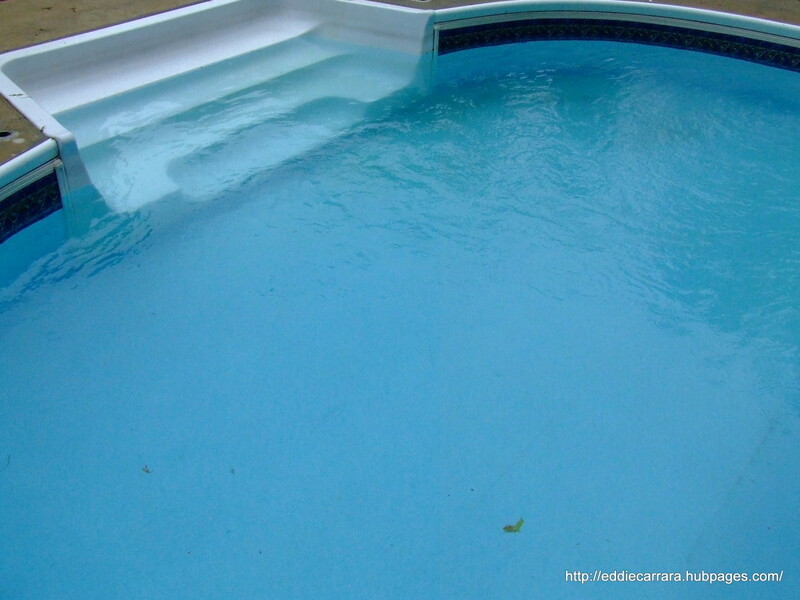 It was actually blue and semi-clear, and I could see the bottom on the shallow end but not so much on the deep end. It was blue and the algae was destroyed, yeah baby :) I can have my life back! It's very frustrating when you can't see any results. I didn't see any type of change in the green water in three days, and I was frustrated to the max. I couldn't believe that all the chemicals I added to the water, didn't changed the water color at all. Usually you will see a slight change, but I didn't see any, nada, nothing! That's why I'm sharing my story with you: Banish by BioGaurd worked over night as you can see by the pictures. If I hadn't seen it with my own two eyes, I never would have believed it. I know the liquid chlorine helped in the process, but what changed the water color from green to blue was the Banish. I know because I watched it happen. I have a 39,000 gal pool and have been battling the mustard algae that looks like sand on flat surfaces and slopes of the pool for two months. I have been vigilant every day. I am done with adding high levels of chlorine, brushing, and vacuuming to waste. I have been using 12.5% liquid chlorine. I also have cal-hypo 73% granules on hand. I bought two bottles of Banish. How much chlorine should I add and of which type? The Banish should have killed the algae. If you can't kill the algae with chemicals try lowering the PH close to "0" If the PH is extremely low the algae will not have an environment to grow in, you'll need to raise it again once the algae is gone, but it may be the only way to get rid of the algae. I have the same problem, and I'm tired of adding chemicals that aren't doing anything. I have an above ground pool of the dimensions 18×33, how much Banish would I need or what would you suggest? I recommend two bottles, use one complete bottle as directed, if you need a second dose, you'll have it, if you don't, you can save it for next spring. 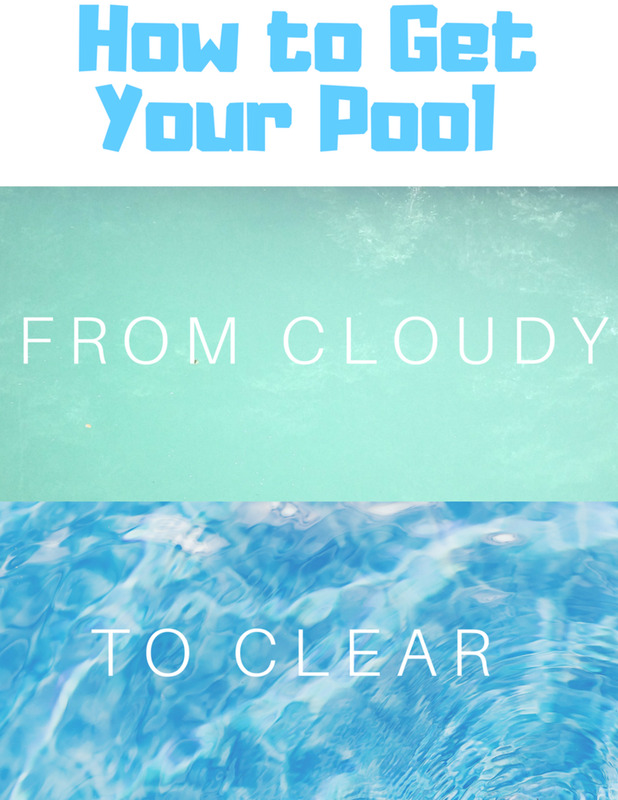 I guarantee it will make your pool water change color in seconds, not clear, but will change from green to cloudy blue. 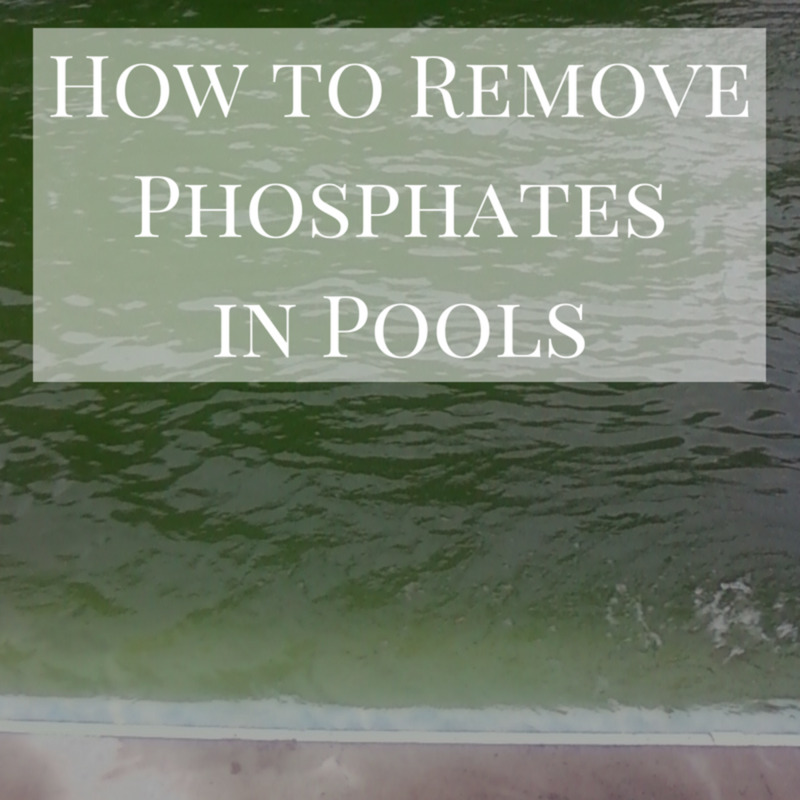 It will take a few days to clear, then vacuum the pool bottom as much as possible with the filter on waste so you don't filter the dead algae back into the pool. Let me know how you make out. I'm not sure, can you not buy Banish on Amazon in South Africa? Will not deliver it to you? 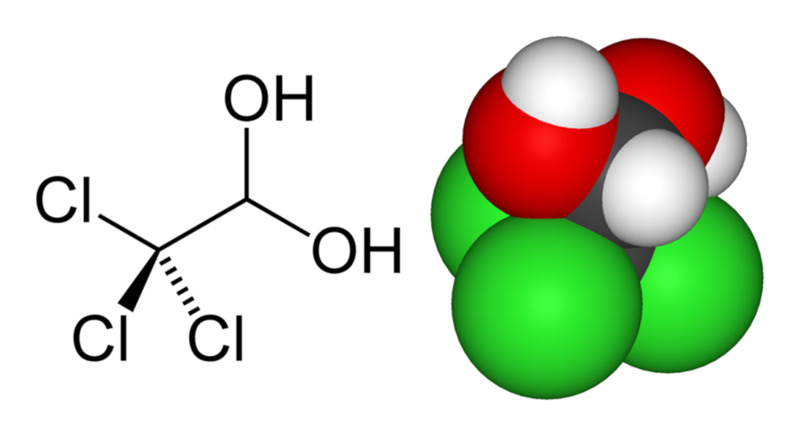 You could try a concentrated algicide, because that's what Banish is, mixed with a few more ingredients. Let me know, thanks. Do you know what the equivalent to Banish is in South Africa? I recommend buying 2 bottles and use one complete one as directed on the bottle, if you need a second one you'll have it, if not, you'll have one for next spring. Let me know how your pool looks after you use it, thanks. 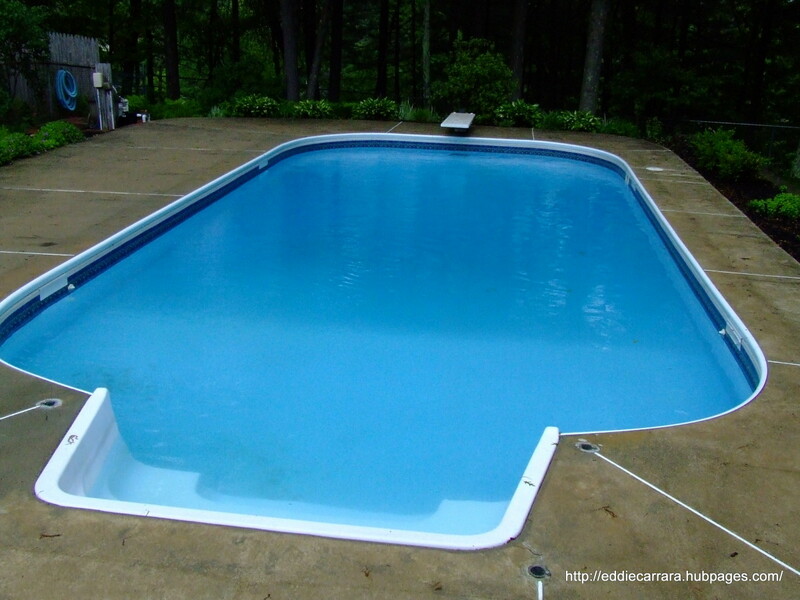 I have a 18x32 above ground pool, how much banis would i need to use? Do you have any debris at the bottom? If so, remove it first. Did you try vacuuming it with the valve set to waste? This will send any debris out of the pool. Let me know. My opinion is you Looploc cover is much less work ( no need to pump water off your pool cover) and much safer. Try using Banish to kill the algae now, and also try using a winterizer in the fall, your pool will be crystal clear in the spring and will only need a light vacuum. Let me know how you make out. I live in NH and I too have been having this problem - however, I think the problem is my pool cover! I have a Looploc safety cover and it is over 10 years old. The cover mesh is disintegrating and therefore all of the pollen, dust etc. can now seep through the cover! Do people in the northeast still use the solid tarp-like covers? I do not want to spend the $$ on a Looploc! I have never had a saltwater pool so I'm not sure if banish will work in saltwater. If it's really bad, I would at least try banish, it's just an algae destroyer. 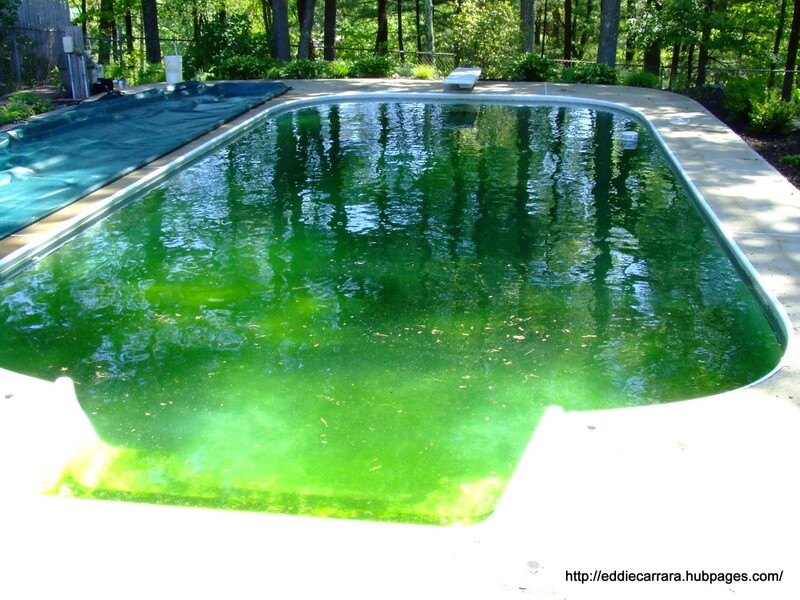 What do you do if you have a salt water pool and you are having the algae problem? Wow, just wow! The Banish was great...it took two bottles and 25lbs bioguard shock (nobody around here sells liquid chlorine, they say it's too "unstable")...but the pool is blue...cloudy, but lovely blue! I guess we'll add some salt and start trying to adjust chemicals now...thanks for your help, this is the most helpful advice I have found! So my pool is blackish- green..ugh! 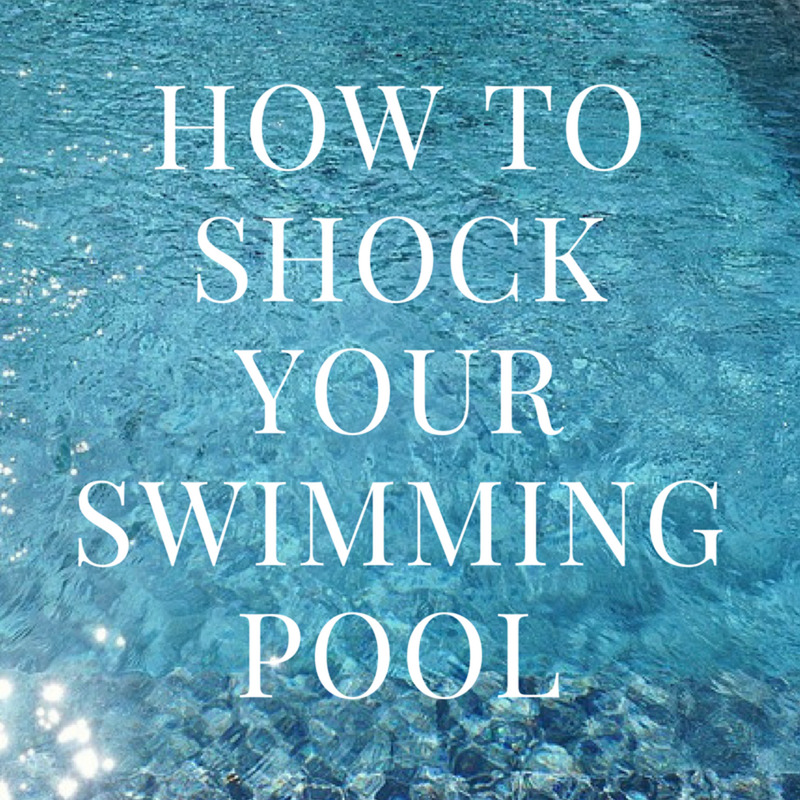 We have shocked it like crazy, and then I ran across your article. ..I'm thinking of ordering the pool opening kit and starting over...or should I just get the banish? Both? I'm desperate. .. Yes there is copper (metallic) which is derived from copper sulfate in Banish, that's probably why it works so well, no burnt paper tho, probably more user friendly, lol. Thanks for the tip Tony, take care. I'm probably the laziest pool maintainer in the world, and tend to let pool maintenance slide (very badly), especially in winter. When I want clear blue water, it takes me about 3 man hours, over 3 days. The process is pretty simple. 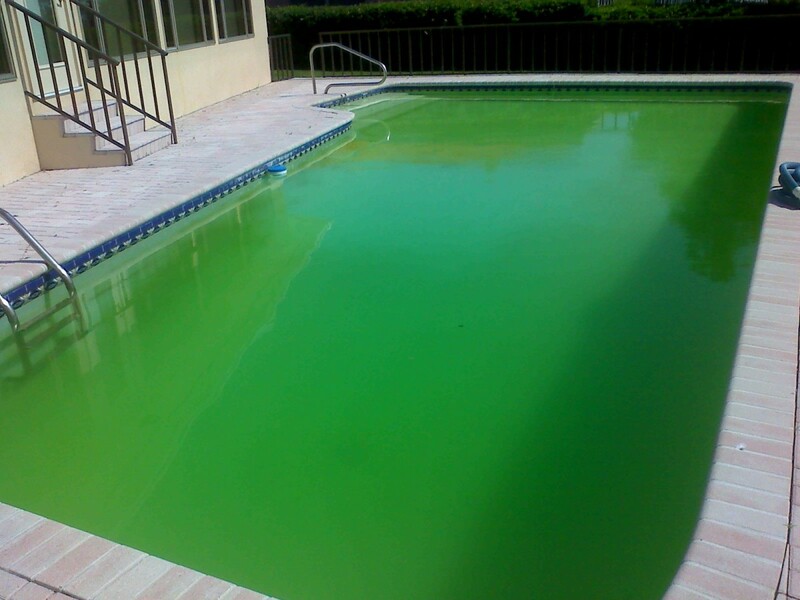 First I sweep the pool, to get everything into suspension - turns the water a really horrible muck colour. Then I test the water ph levels. Just after dark, based on the ph I will add the chemicals needed, dump in a kilogram of aluminium sulphate, toss in 4 cap-fulls of chlorine granules, and then switch the pump on, to circulate everything for 4 to 6 hours. I then leave the pool alone for the entire next day, and on the following day I will vacuum the pool manually - this is what takes so much time!